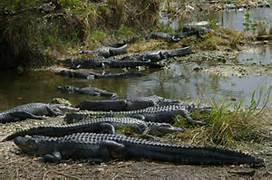 If you have been in Sales for longer than a day you have seen this Alligator Pit. A gathering of thick skinned rascals with Big mouths , swinging tails and the ability to devour all who would approach. They attempt to control the culture and tempo of a sales team, And often they succeed. Look around, you will almost always find them. Maybe they are hanging outside, huddled up by the building in a cloud of smoke. Hiding from Management and bitching about the poor traffic. Possibly, they are inside huddled up near the receptionist looking for the latest gossip. Or worse yet they are “Hunting” the new guy, looking for a “split” , or trying to ruin him before he gets a chance to out sell them . Regardless of their whereabouts my friends , take my advice and AVOID them ! There is no personal gain to come from an association with these Sales people. And worse yet, spend enough time with them and you will find you have become one of them . 1. Seek positive interaction ;( and avoid negative interaction) Limit the circle of people that will influence you to only those that will build you up. 3. Do right ; ‘ nuff said. 4. Respect Leadership ; I could spend an entire post on these two words. A Solid leader is worth more to your success than a thousand ” Better Ideas” . How do you handle the Alligators at your Dealership? How does your company react to them?